30th anniversary of Wim Wender’s most important movie. 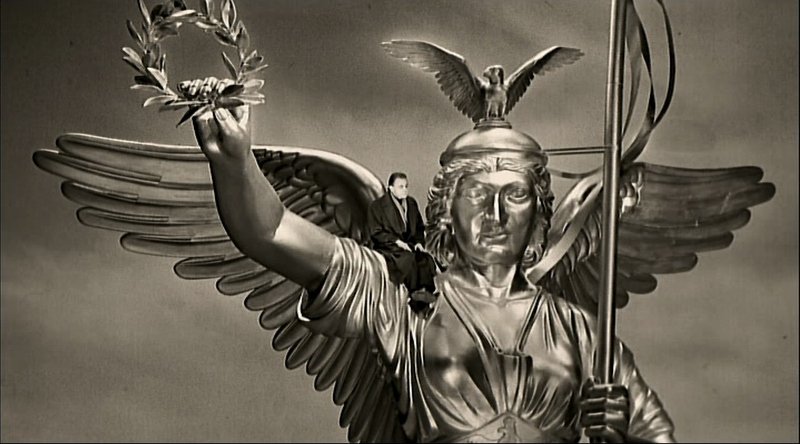 For Wings of Desire, Wenders won awards for Best Director at both the Cannes Film Festival and European Film Awards. The film was a critical and financial success, and academics have interpreted it as a statement of the importance of cinema, libraries, the circus, or German unity, containing New Age, religious, secular or other themes. The film is about invisible, immortal angels who populate Berlin and listen to the thoughts of its human inhabitants, comforting those who are in distress. Even though the city is densely populated, many of the people are isolated or estranged from their loved ones. One of the angels, played by Bruno Ganz, falls in love with a beautiful, lonely trapeze artist, played by Solveig Dommartin. The angel chooses to become mortal so that he can experience human sensory pleasures, ranging from enjoying food to touching a loved one, and so that he can discover human love with the trapeze artist.